Umaru Mohammed Bago, an aspirant for the office of the Speaker of the House of Representatives in the 9th National Assembly, has received support of the National Association of Nigerian Students (NANS). Bago is one of the key contenders for the position of speaker for the 9th House of Representatives that would be inaugurated in June. The students said their decision was informed by the impressive academic and career credentials of the lawmaker, which was and has been useful in the affairs of the green chamber in the previous assemblies. NANS President, Bamidele Danielson Akpan, who led other officials on a visit to the lawmaker, in Abuja, said he was convinced that Bago has the capacity and virtues to occupy leadership position in the 9th National Assembly, particularly the House of Representatives. 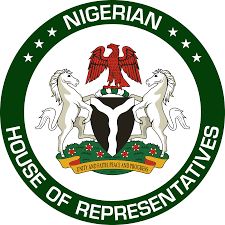 He said NANS national executive has concluded preparations to mobilise members to reach out to their representatives in the green chamber, so they can support the relatable, youthful and experienced member as the next speaker of the House of Reps.